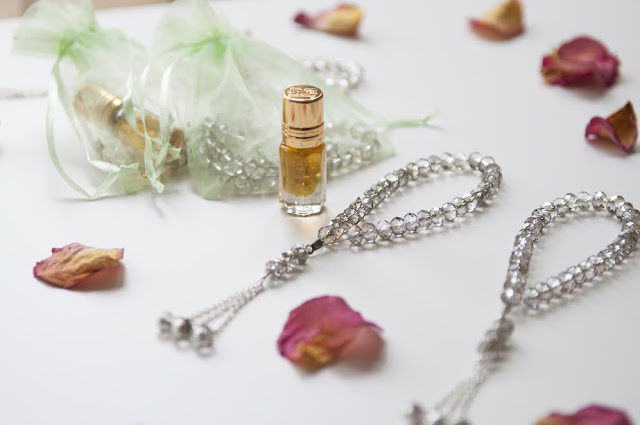 I know how toilsome it is, to ponder and decide on the best Eid gifts for our family and loved ones. 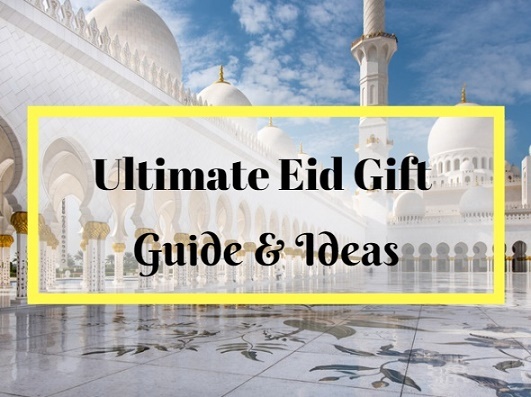 So, I've produced this ultimate Eid gift guide, to make the process facile for you. Below are some of my favourite brands, and I myself own products from most of these Muslim brands, who are working hard to bring themselves up to your expectations. 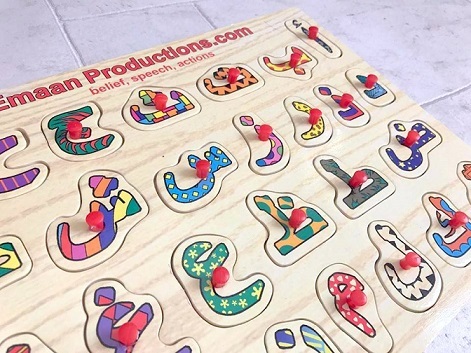 The brand offers a range of Muslim educational toys and books, which are really helpful in teaching Islam to the children. You can read about some of the toys BabyN' has from Mini Muslim Playground, here. 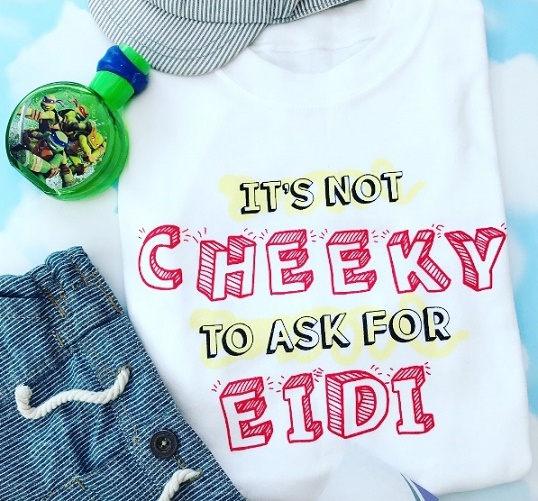 Allya from Mini Muslim Playground has also launched Eid clothing for kids, you can see BabyN' wearing it here, and the brand's website here. 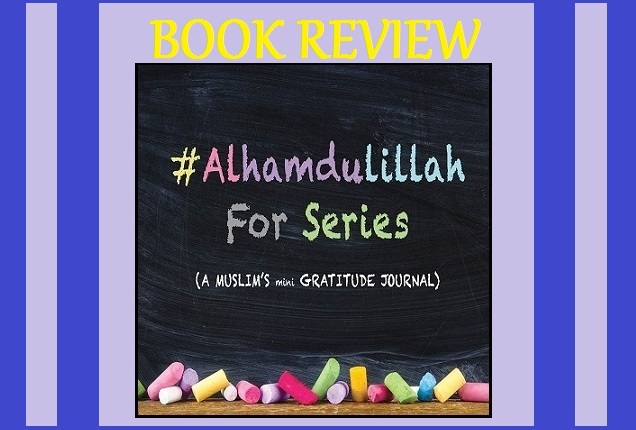 The idea behind the Alhamdulilah For Series is to make us aware and acknowledge the blessings bestowed upon us by Allah (God) and to spread gratitude towards Him. Alhamdulilah, an Arabic word meaning ‘Praise to be Allah (God)’ has been stressed throughout the book, so it's great to introduce it to kids because the illustrations help in making our job easier. Read the detailed book review, here. 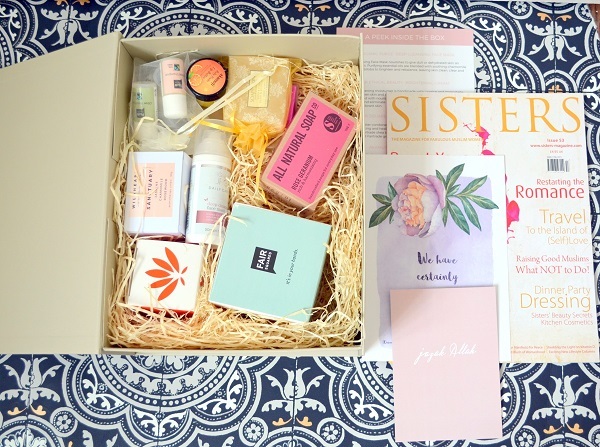 The beauty and self-pampering box from Halal Goodies is fantastic for women. I've myself got one of these, and I have to mention that the natural, organic and Halal products in the box are great! Read my full review, here. 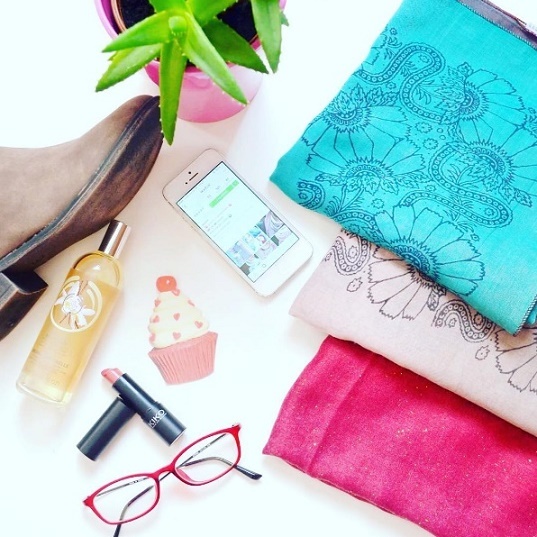 The brand sells quality scarves and hijabs in different colours and designs. They're perfect for summer, light weight and I'd say no variation in the product as they're as good as seen in the photos. I also love the fact that they're big enough to style in any way I like! I've been using these hijabs since almost 9 months, and they still look fresh. You can check out their Instagram page, here. 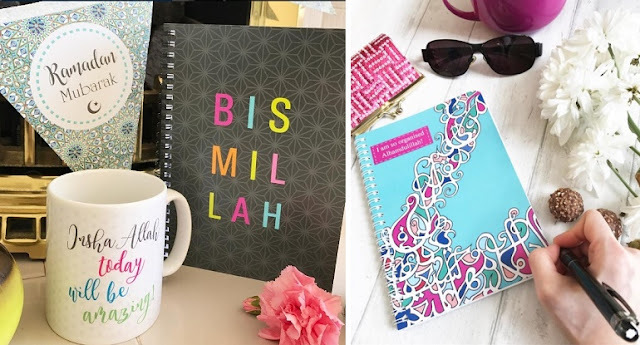 The brand sells Eid gifts, decor items, notebooks, cards and a variety of other products great for Eid. Read about the products shown below - here, and here. You can also check out their website, here. Oh, and if you're looking for Eid decorations, then they sell those too! In 2018, the brand has come up with new additions to it's collection, please see here. I was so glad to have come across these Muslim Stickers activity books for children! 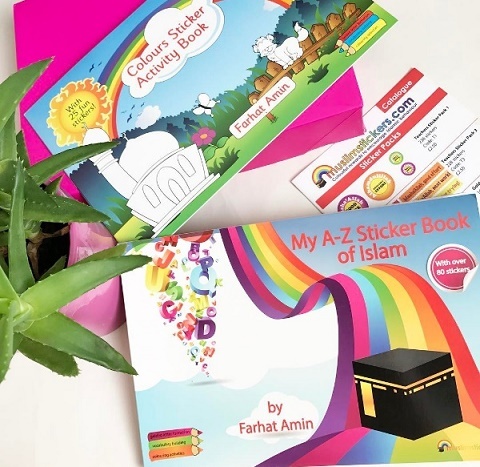 The sticker activity books are great for letter formation, vocabulary building, for developing colour & number recognition skills in kids, and are especially focused on Allah & the religion. Also had a look at their catalogue, they've also covered other things such as Eid decoration! You can check out their website, here. If you're looking for frames, gifts, hampers, clothing & other home accessories, then check out their website, here. 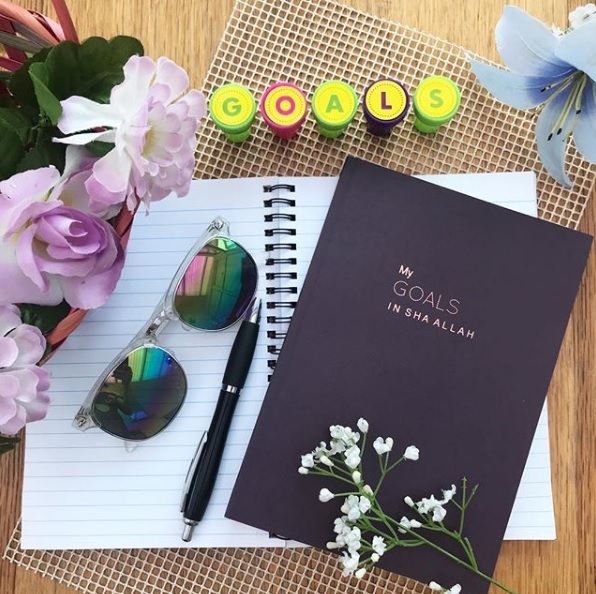 They have gifts for both adults and kids, and I've just discovered on their website that some products are on sale too, so that's definitely going to be a BARGAIN for you! These flash cards are from a British independent publisher, Word United that publishes language books and educational resources along with multilingual support not just for kids, but for adults too - aiming to make learning not just accessible, but also fun for all. In order to make the product engaging, the brand has worked hard and stressed on the illustrations. You can read my review on this product, here. 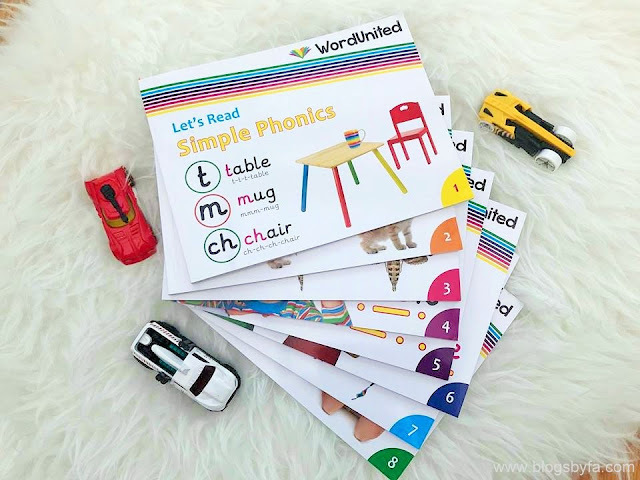 Word United has also launched the 'Let's Read' phonics books that includes a set of 8 books and are great for kids to learn by starting to recognise initiating from simple phonics. The set is perfect for children 3 years and over, and the bestseller is priced at £37.99. The idea is to enhance the communication and observational skills, literacy and their reading and understanding of the words. It's an easy way of enabling children to recognise letters and sounds while keeping the young learners focused and engaged. Since there is a set of 8 books, it's easier to begin step-by-step starting with mini words before moving onto the bigger words, and then introducing the double letter phonics, advanced phonics, split digraphs and the silent letters. The colourful illustrations are great for the kids to remember what they see, and learn spellings. You can purchase the Word United 'Let's Read' phonics books, here. Alhamdolillah BabyN’ is really fond of reading books & I’m so glad that entities like Kube Publishing have made the availability of children’s books really easy. 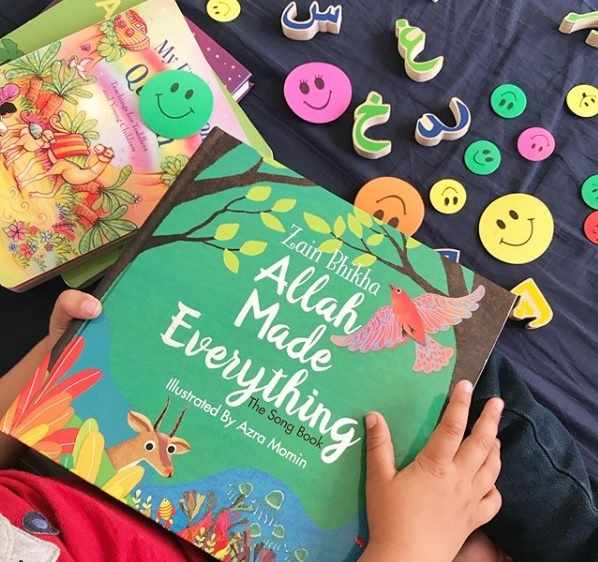 The recent addition to his book stash ‘Allah Made Everything - The Song Book by Zain Bhika, is a nasheed book that highlights the creations of Allah in a very interesting way, and enables me to make him learn about all the areas covered in the book. Also, the glossy pages, colourful and eye-catching illustration by Azra Momin grabs his attention and keeps his eyes glued to it. This book could definitely make a fabulous Ramadan or Eid present for the little ones around you! My First Book About the Quran written by Sara Khan and illustrated by Ali Lodge, has been written for toddlers and young children. The title makes it quite apparent about what to expect in the book. The author has highlighted the important things the children need to be aware of, at this stage of their lives. I do read the book to BabyN' myself along with providing an explanation and referring to the pastel coloured illustrations and he recognizes most of the things and teachings, but there are still a few things that are new for him, and may take a bit of time to provide him a proper understanding. You can read full review of the book, here. Lote House publishes Islamic books for children in a unique way by blending the classical with the contemporary. The entity aims to bring together the Islamic scholarship which is visualised with professional illustrations. 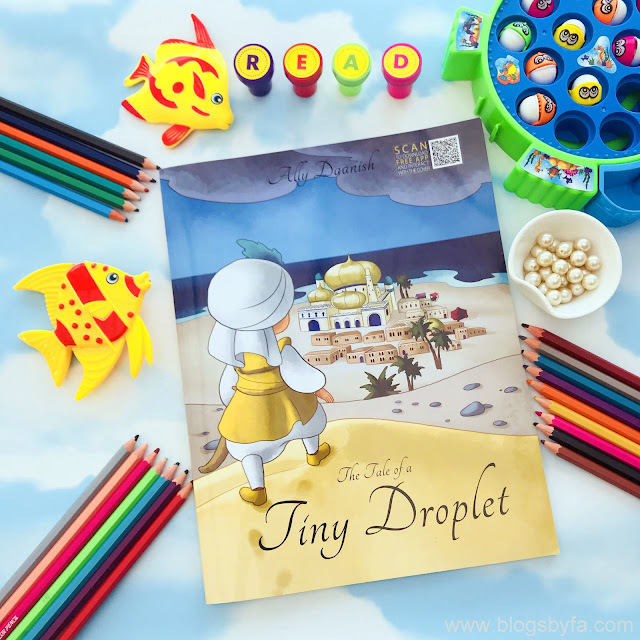 The Tale of a Tiny Droplet by Ally Daanish, a 32 page book selling for £5.99 focuses on the Islamic values and teachings and the website also offers free activity downloads for the readers. The story of a tiny droplet has been narrated in a rhyme and narrates the story of a tiny water droplet that takes it's journey to a kingdom from a stormy cloud, and makes new friends on the way. The idea of the book is to inculcate trust in Allah. 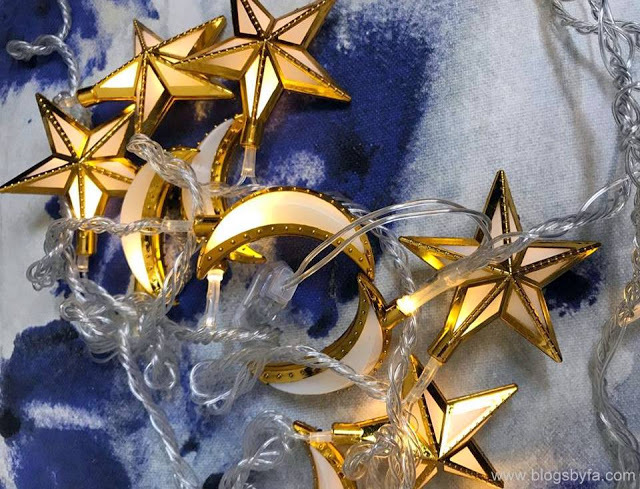 Muslim Homeware, a new Muslim brand mainly focusing on products for Muslim festivals such as Eid and Ramadan, offers an impressive range of Eid and home decor items, toys and games for children and party decorations. These include block letters, prayer mats for children, toys such as Arabic puzzles and handmade dolls, and party decoration includes balloons, buntings, badges, banners, cards and gift boxes, lighting, tableware and hanging decorations. Read my review of their products, here. Wrapped in Ribbon delivers themed party decorations and supplies and create ready made party packages styled around fun themes. Depending on the theme and group size, you'll be sent a party box that includes everything you would need for a party - from dinner and cake plates, cups and cutlery, napkins, straws, table confetti, balloons and banners and cupcake toppers. 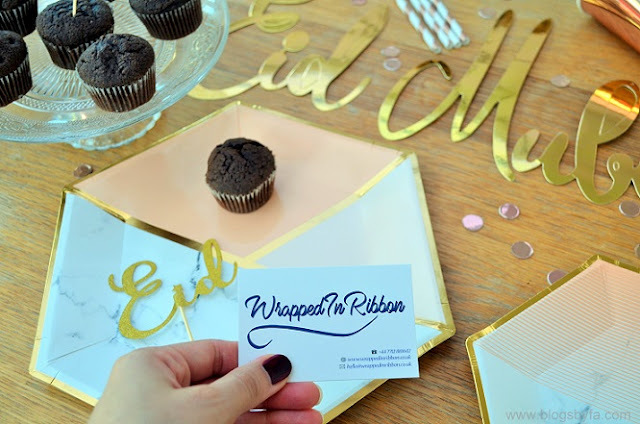 Wrapped in Ribbon has added an Eid party box with a beautiful colour theme - marble, rose gold and peach. You can order your Eid party decorations box, here. 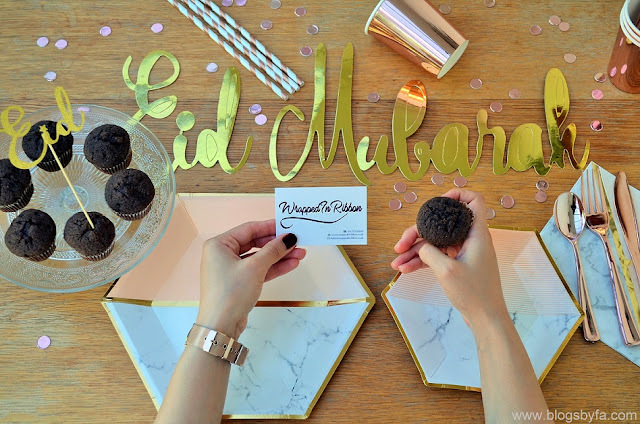 You can also read my previous post, 'Mini Eid Buffet on Wheels' for snacking ideas and goodies to serve to guests who come over to greet you on Eid. 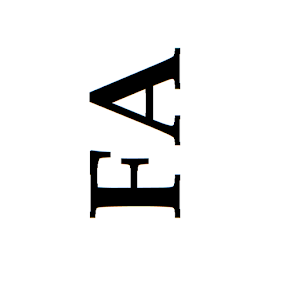 All the images (unless stated), are the property of Blogs by FA. I love those printed SKARF designs, too bad their store is down. Thanks for putting together a list that has something for almost everyone - except those hard to shop for guys. Lovely gift ideas sister! 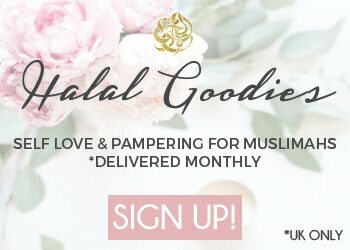 such a lovely range of gifts for the whole year around, the halal goodies box is my favourite. Superb ideas! I had so much fun reading this but I kind wanted all the things for myself hehe but there were a bunch I wanted to gift to others too. 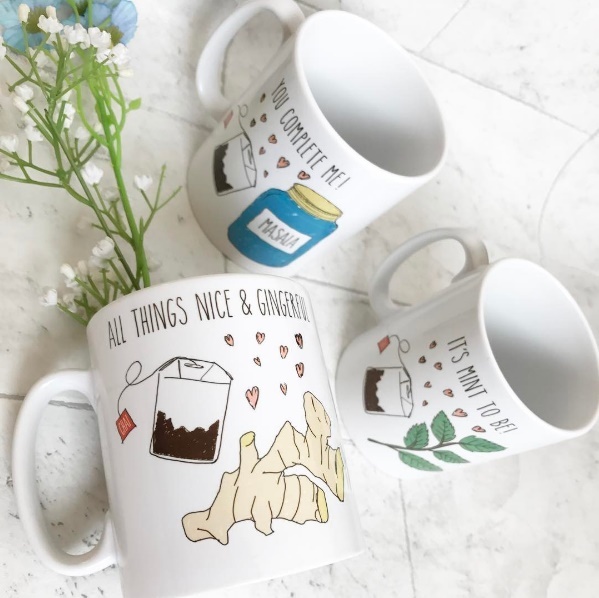 Thank you so much for such a brief blogpost on gifts. Its seriously so hard to find gifts for family members! Masha'Allah a lovely selection of gifts. Thanks for sharing! Hadn;t come across Gifts and Crafted before. 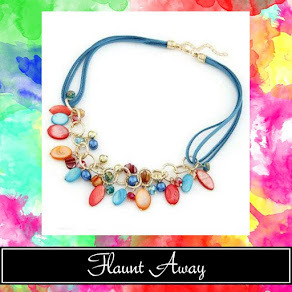 A lovely collection!bi love the variety, from kid's gifts, favors, clothing and aaccessories, etc that you've covered! A very useful post. 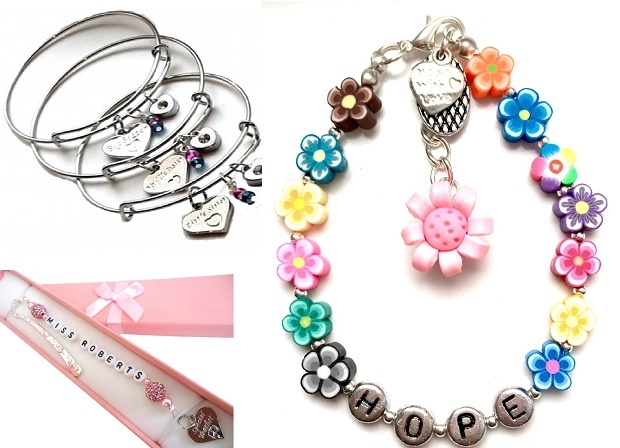 These are some wonderful gift ideas! !